Saturaday 30th May 2015 was a glorious sunny day and the setting for the wedding was the beautiful Dunsley Hall where Scott and Amanda were married at 2:00pm. The bride looked stunning and the two young bridesmaids perfectly complimenting her in their purple tone dresses! 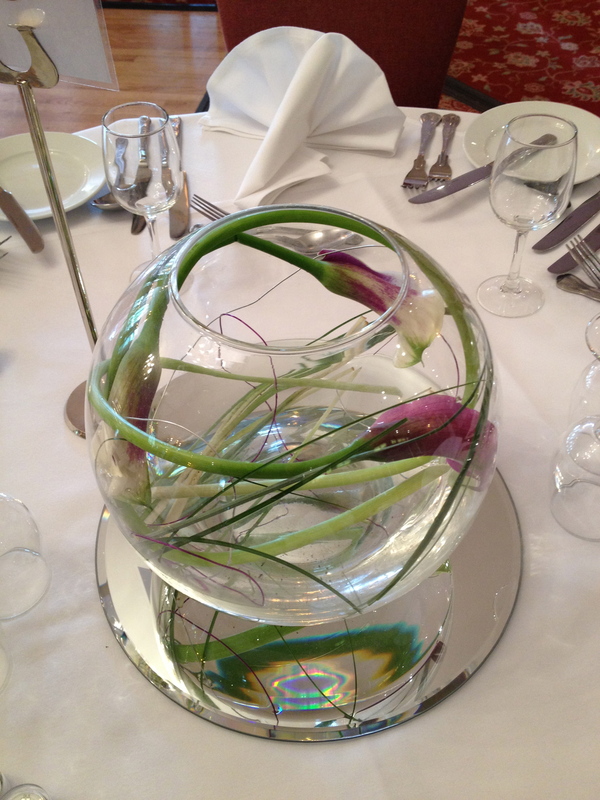 Amanda's choice of flowers, which we discussed at our initial consultation back in 2014 perfectly matched the theme of her wedding. Dunsley, with its bright and open room was beautifully dresses by S L Bridal Solutions with the stationery designed by Sealed With Love, (who also provided a candy cart for the guests to enjoy). 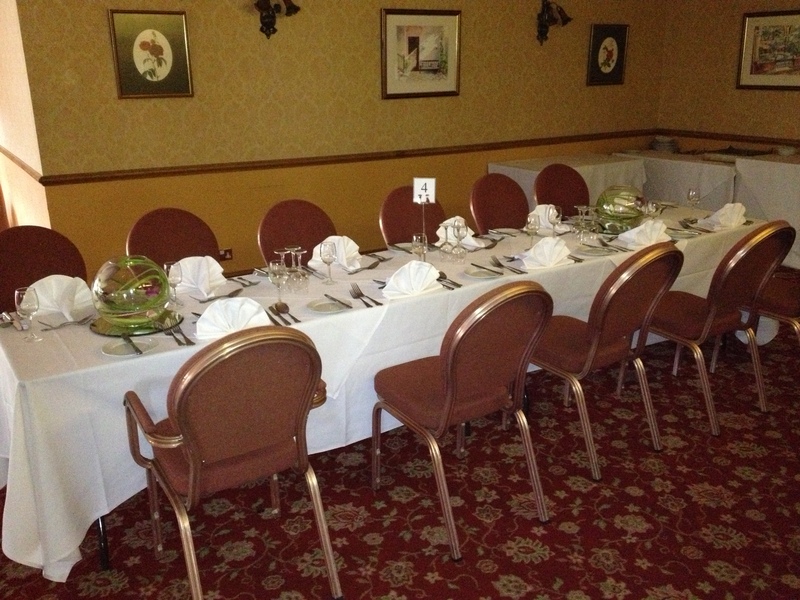 A scrumptious serving of Tomato and Basil Soup, Roast Sirlion of Beef was followed by a delicious Lemon Cheesecake. Edward's Trust, provides support for children and families during serious illness and bereavement. 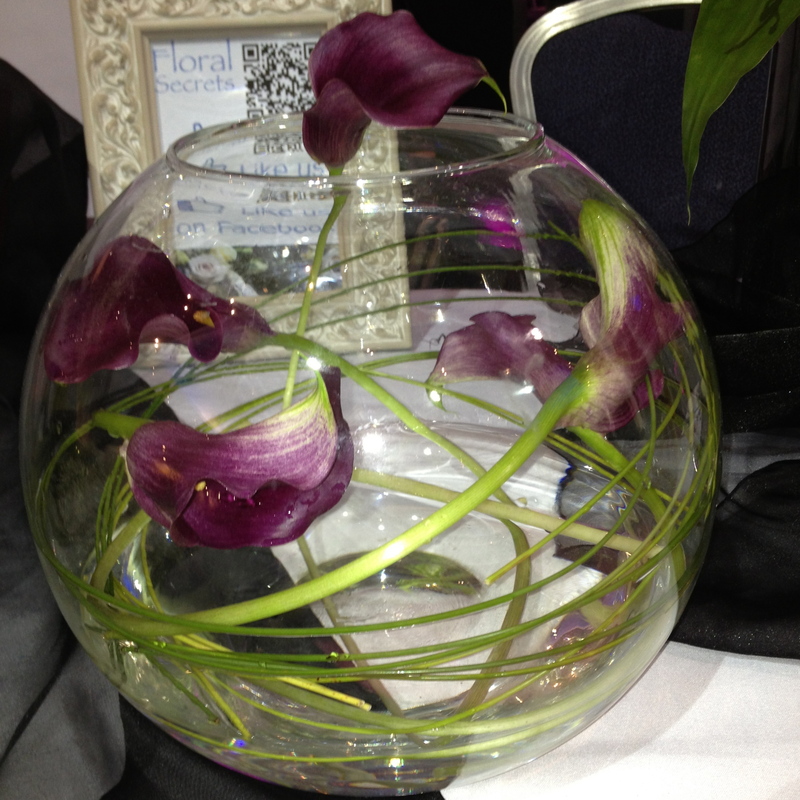 Friday evening saw them host another successful fundrasing ball, raising well over £1000 for the trust, Floral Secrets was privledge to support the event and provided Goldfish Bowl table centres filled with Calla Lilies. 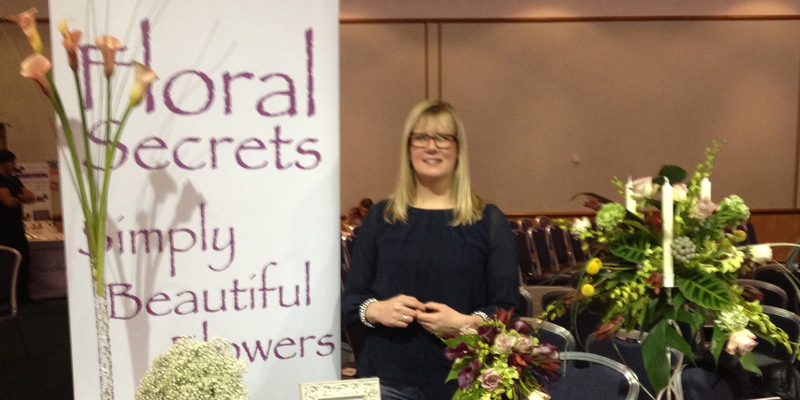 Floral Secrets enjoyed the highs of a busy wedding fayre this Sunday at the Copthorne Hotel, Dudley, hosted by I Will Weddings. 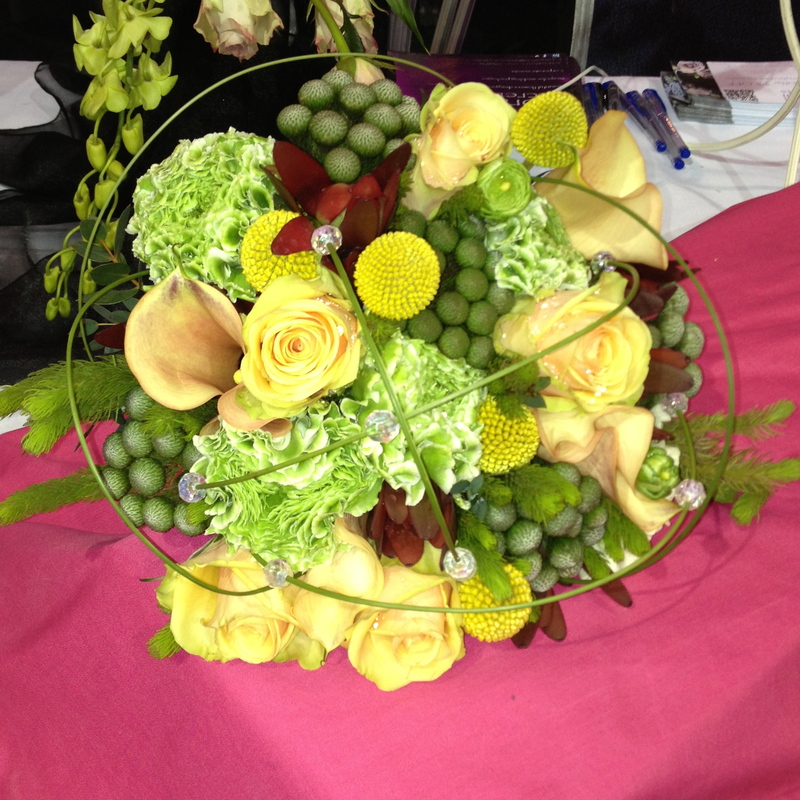 With many brides-to-be visiting the show to gain inspiration and meet suppliers, Floral Secrets displayed a vast array of wedding flower designs for new brides to see, ranging from classic Gypsophlia arrangements and bouquets through to vintage style handties and contemporary lily table centres. 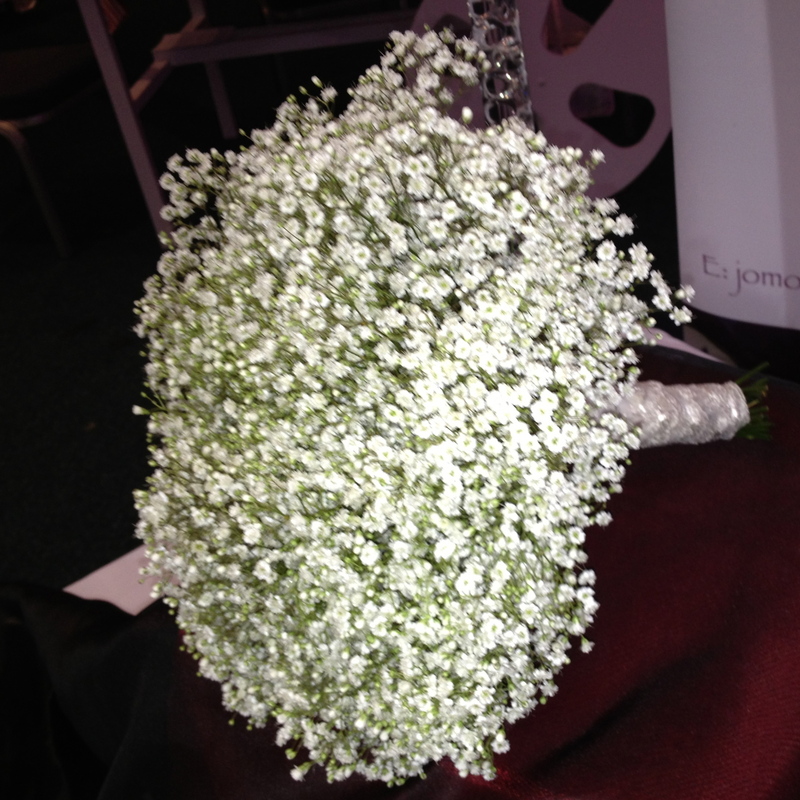 It was a delight to meet so many of you who visited Floral Secrets stand and hope we have the pleasure in arranging your wedding flowers.